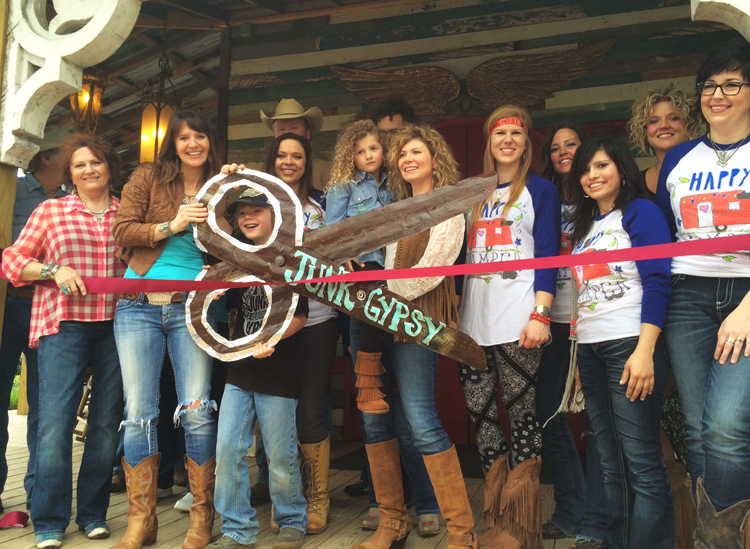 a few years ago, we ventured off into a new chapter in the junk gypsy story. we filmed a TV show. we never set out to be on TV… in fact, it was never, ever part of our plan. but because we partnered with a network and a team that didn’t want us to be anything other than ourselves, we took the leap. and thanks to all of y’all, season 1 was a big success. and we THANK you for that. 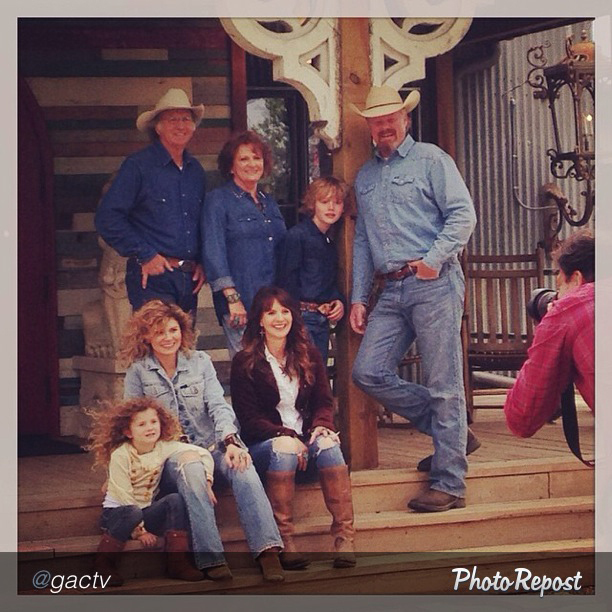 season 2 airs thursday june 12 at 9/8CST…on GREAT AMERICAN COUNTRY. hgtv & great american country are both members of the scripps family and after collaborating with the amazing team at all 3 entities, it was clear that great american country and JG were meant for each other (cue ‘you were meant for me and i was meant for you’ by jewel)….whew, i digress. great american country is all about celebrating the american lifestyle. the gramco theme is ‘love letters to america’, their hashtag (we all know i’m a self-proclaimed social media freak) is #dearamerica. i mean y’all, does it get any better? #dearamerica. i think not. it’s about family. and country. and JUNK. and music. and…LIFE. which means you’ll see A LOT more of EVERYTHING this season. MORE family. because, clearly…family is FIRST. and this business was built out of our determination to work together with our family. more of our JG team that we can’t live without…the girls that pack your orders and answer the phone when you call. the girls that greet you at the door & check you out when you come to our headquarters. the girls and guys that have our back. we could NOT be where we are without them which is WHY it’s so important to us that you see more of them on the show. more of the JG world HQ…this is a sacred place to us…it’s our sanctuary of junk that was 15 years in the making….so it’s only appropriate that it serves as the backdrop of our entire series. more country. we are small-town girls at heart (god bless overton, texas). that little town formed us into the people that we are. and we are forever grateful. 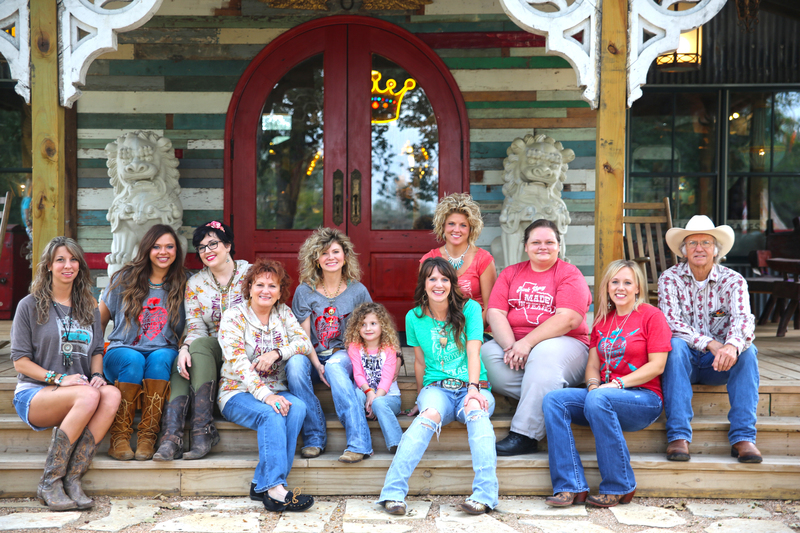 we now proudly call round top, texas our home…small town girls are what we are. it’s what we will forever be and it’s a core part of our business. you can take the girl outta the country…but you can’t take the country outta the girl. you’ll see more of our LIFE in the country. more ROUND TOP. more LARGE MARGE. more tractors and chainsaws and horses and BISCUITS. (oh my lawd. honey hush. biscuits make the world go ’round). basically, you’ll see a lot more of all the things that make up JG. all of the things that are near and dear to our heart…all of the things that we think YOU love about JG too. it’s all rolled together. plus…there are some really exciting surprises this season as well… a special celebrity friend travels to round top…as she commissions us to work on a secret project. AND…you’ll learn about possibly the BIGGEST thing we’ve ever been a part of…it’s still top secret…and it’s killlllingggggg me to let the cat outta the bag…..but, patience, my child. the time will come. so i think that’s it. new season. new network. new digits on your dial. and this new season y’all…well this, is our love letter to america. tough as a peanut patty on the goober side…. Love your show. One day i will may it to ya’ll store. Can not wait for the new season. The show was awesome last night! I thought the time would NEVER get here, but it did, and I watched y’all all night long! WOO! It was awesome. I’m gonna go buy myself some glitter and wait for next week. Love it! love your show. Waiting for the new season. So excited to watch it! Yay! Sweetness! ~ This is going to be a wonderful year for ya’ll, I can feel it! ~ Congrats for the new season! counting down the days for the new season! Cannot Wait!! Sooooo excited Jolie & Amie for this new season and all that you guys are doing! The store is AH-MAZING and everyone who works for you and surround you are true blue, down to earth guys & gals just like you & your sweet family! Congrats on all past & future successes!!!! Aka Melissa’s cuz!!!! I love your show, shop & prom!!! Y’all keep up the good work!!!! I’ll be watchin, shoppin & dancin @ the J G Prom!!! The shop is heaven on earth cute and Junk O Rama prom this year was the best ever. Can’t wait for the new show season! One day channel surfing, I stumbled upon your show. I am now a JG addict! You have inspired me to try and step outside the box as I am decorating my home. It is a little scary because everything I have done so far, has been so contemporary traditional. I have a dining room that is my summer project and I hope when I am finished it would make you proud! I went to a community garage sale this weekend and saw this amazing green box and in my head I heard your voices so now it will be a shelf, somehow! Can’t wait for the new season to start to get even more inspired! Counting the weeks, the days, the minutes…..the seconds!!! We get dish tv and the plan I had didn’t have GAC except in December when the NFR is on well I upgraded when I saw y’all moved to GAC! Lol. Your show is DVRd just in case my husband is watching a huntin show lol. I have always crafted mainly cause I am a cheap skate but just love it and y’all have super inspired me to go way outside my comfort zone! I take stuff to a fun consignment boutique in Henrietta. Just wanted to say thanks for the push to come out of my shell a little, still working on my “gypsy” side. Lol y’all are awesome! And love the love of family. Love the show and the new channel! Sounds like a great fit and I’m so excited to see more of the people and places that make JG go round!! I love Love LOVE you gals!!! I took a 4 month promotion out in California last summer and had all the episodes of Junk Gypsy downloaded on my computer so I could watch them whenever I wanted- it was like my ‘comfort food’ so I wouldn’t miss home as much! Hi y’all !!! I’ll see ya in a couple weeks!!! Can’t wait for the new season!! Love ya! Omg!!! I have every one of your episodes on my dvr and I watch them over and over! !! I can’t get enough! Yaw are so inspiring and make me get up and do things In my house even when I don’t feel like doin crap! Please don’t ever go away! !! I love you all! Bummed that you moved to GAC..we don’t get it. I was missing The Farm Kings on GAC until we changed cable providers we lost out on having no GAC. Hey Helen nice to see Another Aussie who enjoys watching the show. Lets hope Foxtel pick up the next series, otherwise we just might have to take a trip to Roundtop !! Hello from Florida, love the show and your style, can’t wait for season 2!! Super EXCITED!!! Had to order GAC to our service to watch. Got the DVR locked and loaded now and ready for the 12th!! I’m so excited I’ve been waiting for a new season for too long. I love gac, and I’m gladdddd you’re moving there. It’s the best match. God Bless you. It all sounds so great. I love your show and can’t wait until you return! I love love loved season 1, but recently had to cut the cable. I’d love to find the new season streaming somewhere…I’d buy it on iTunes if it was available there. Got any pull with the network to make that happen? 🙂 Here’s to hoping you have many seasons to come! Love the show! So excited! Also where do y’all get all your fabulous wings? I need some!! I have a rare lung disease and the symbol for it is feathers so I love to have wings in the house 🙂 helps me to think if I pass away that my daughter will know she has an angel watching over her! Maybe y’all need to make and sell some big wood wings? God has blessed you so much. So happy for your success. I’ve been once to your area and to the prom last year. This was before the store was finished. Can’t wait to come back again. I have been shopping and dancing at prom with you for many years! Both of you have come up and talked to me, and instantly felt like long time friends! I still see you and am grateful that you haven’t changed! Excited about your success, and can’t wait for the big surprise? There are five of us from New Mexico headed to Antique Week in September. We are so excited to visit the Junk Gypsies! I am SO excited for the New Season…and let me tell y’all..so are my husband and kids. I DVR’d Season One…and I’m watch’n a 12 Year Old Boys “HuckFinn” Bedroom Makeover or a Gypsy show us the “Skeletons In Her Closet” if “Law&Order” ain’t on. So hurry up and bring it on already!! We’re ready to Junk Gypsify in Tahlequah, OK!! Hey girls…thanks for the reminder! Headed to set my DVR right now…wouldn’t want to miss an episode and I love to watch them more than once!! I made your daddy’s biscuits and I have to say they were the best!! 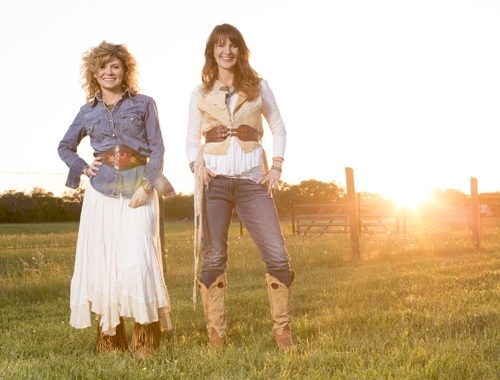 Hoping to get to Round Top one day….. Bless you all and the new season!! Well Lord love a duck!! It’s about time!! 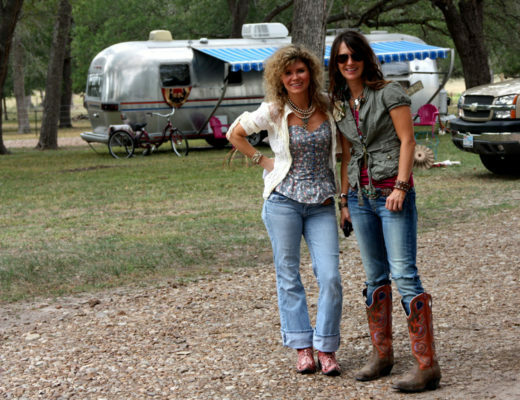 Love the Junk Gypsies!! Is there any place to watch season 1? I am so disappointed! I don’t get GAC and started out watching you guys on HGTV last May when I injured my back. Is there another way of catching your episodes?? I have ordered from your website and have received the BEST customer service ever. The gal that helped me was so nice and I enjoyed talking to her, felt like I was talking to one of my friends. I follow you all on FB but I am so sad I can’t catch your shows. I downsized cable and that channel was evidently not part of the deal. So bummed. I know your show will be a success. Good Luck! Bout time you girls are back on tv!!! Can’t wait!! I’m so excited for the new season, I’ve been following you girls since the beginning of the first season. I’ve had to downsize my cable channels due to me being on disability and I found out after I did it that I lost GAC channel. Is there any way to see your show?? I’m so sad but you do what you have to do. Anyone know the answer, please share! I have recently lost GAC too!! So sad!! Is there any other way to catch your show? I binge watched the first season before losing GAC and fell in love! Been junkin for years n been told I was a junk gypsy before your show ever came out. I’m addicted to it !! Thursday nights is my night for th TV on Dish network. Love love love it. Can’t wait for the new episodes on June 12th. My birthday too ! love it girls .cant wait .I think I get the GAC .I didnt have cable before so didnt get to see the episodes on HGTV .can you find them on utube now ??? I will look for sure .you guys take me back to my child hood and simple life .makes me just sit and sighhhhh .awwwwwwwww. so miss my family of wich are almost gone and those country days with family reunions under big oak trees and everything homemade ,swimmin holes and old mules to ride down country roads .oh ,me ,oh my .cheerish it all .every country lovin moment. Love this, can’t wait for the new season to start. So excited for you all. I’m so happy for yall we miss you all here in Overton, one day I’m gonna make it up to Round Top to visit yall. Can’t wait to the new season. Luv ya!!! I’m so excited for season 2 how I have missed you all and your fabulous junk!! You both are such an inspiration to me to keep being who I am: creative, fun, adventurous, and a dreamer!! One day I hope to have my own little slice of junking heaven somewhwre and I just know in my heart I will. I am so excited to see you girls (and guys) come back with new episodes! I feel like even though I am way up here at the Jersey Shore, I have found kindred spirits in you and your family. I am working to establish my own junk-loving business here and the Junk Gypsies show me that it can be done! Thank you so much for your hard work and inspiration. So sad I will not be able to watch Season 2 – I can’t get GAC without paying an extra $30 per month – boo hoo. I am excited you have new shows starting this month. I have watch all of 1st season at least twice (ok I confess, 4 time). After seeing what you did to the gulfstreams I want you to do my trailer when I get it so I can retire (in 5 yrs) and travel our country. Watching you has re-ignited my Gypsy heart. Thank you for sharing your life with us. LOVE LOVE your show. Can’t wait until next week for the new season to start. 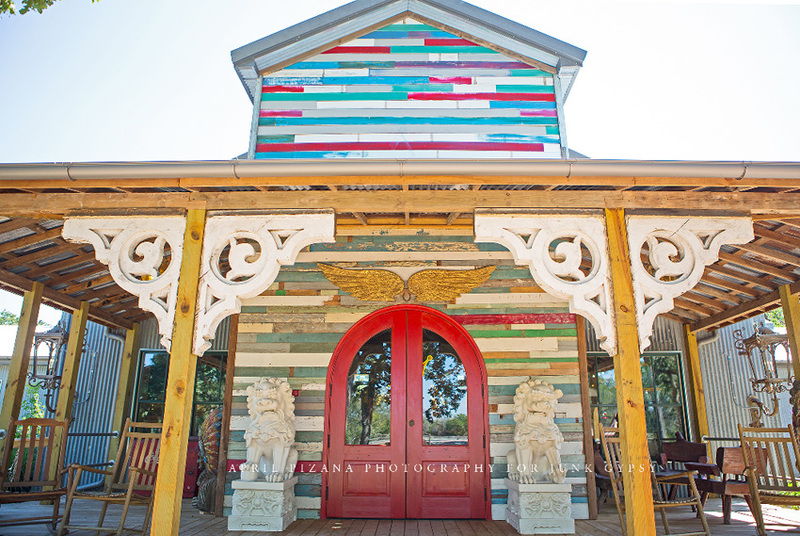 Hope to some day get to your store in Round Top. I tried to send you an e-mail, but didn’t know how to get in touch ? DO you still have the HUGE STAR that is on your profile picture of a bedroom, I want to put it in my Granddaughters room ! LET ME KNOW Just e-mail me at artinthetrees@yahoo.com ThAnks ! Luv, luv, luv your show! Can’t wait until new season starts!!!!! happy for your show even tho I only get gac every other month. forttunatly, I will see some of the new shows. This is th month!. Congratulations on season 2! Love your show, you are so inspiring! Love, love your show………can’t wait for Thursday ! I visited your store last Saturday with my sister & her 15 year old daughter. We loved it! I bought some fun stuff. Gods’ blessings to you & your families. Good golly miss Molly! Bout time you are back!!! cant wait till your new shows. and we are planning on stopping at your store on vacation, too. Went to your Junk Gypsy store a few weeks back on vacation!! Loved it!!! Got alot of fun goodies!! Can’t wait for Season 2!! Yay!!! Well hot diggity dawg!!! I’ve waited TOO LONG to see me some Junk Gypsies and you decided to give me a flippin FANTASTIC BIRTHDAY PRESENT!! Yes, you came back just for my birthday tomorrow!!!! Ahhhhh I’m more than thrilled!! In fact I’ve done warned the ladies at our church meeting that I’ve gotta leave a little early tomorrow night!! No exceptions. I simply. Can. Not. Miss. This!!!! Now when can y’all come and junk up this Arkansas’ girls little house!!????? So excited for me/us to see y’all again and for y’all to be back!!! Love and God Bless honey!!! I love you girls! I’m so looking forward to the new season and I wouldn’t miss it for anything. So VERY excited,been watching reruns daily for the past year! Mercy. Original designs with eclectic down-home feel. Im a Tx girl COMPLETELY Addicted to the show and I’ve just now discovered it. A. Has the most wonderful naturally curly hair. I fight with mkne…no pun intended. 😉 Any tips? Looking forward to more JG! I got so excited and then sad……my cable network charges a fortune to subscribe to that network. Miss you girls! I’m so excited for y’all and us!! Can’t wait to see y’all creating beautiful junk!!! Also can’t wait until I get to visit y’all place in Round Top! Continued blessings on your success!!! Hugs and much love!!! Just watched the ribbon cutting episode- so excited for you !! Keep movin forward my rebel road sistahs! Just finished watching the 1 st episode of season 2. 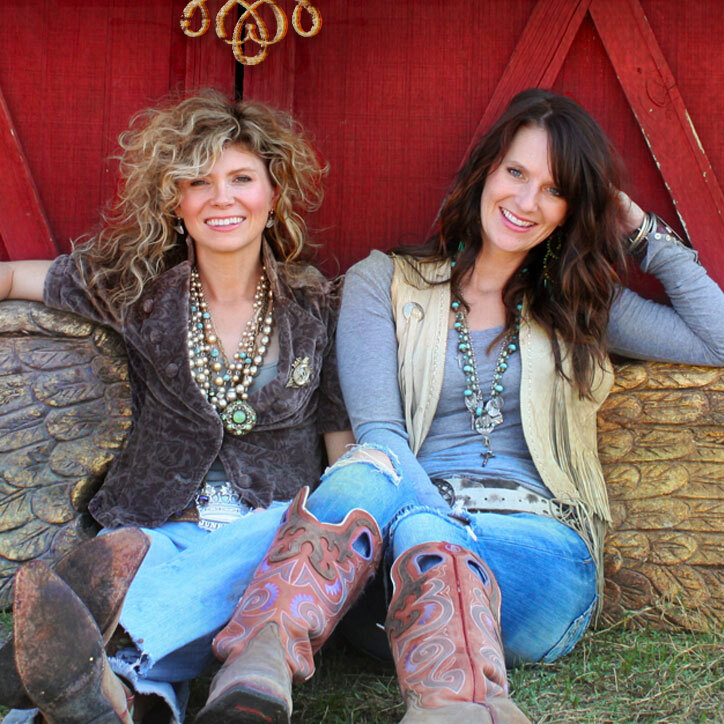 Love, love the show, the store, the inspirations… Amie & Jolie – keep the fun rolling! Loved loved loved and enjoyed every minute of the new show, gotta try junk gypsy daddy’s biscuits!! Thanks for following your hearts and sharing it with us! Can’t wait for Round Top in September! I’m so sad!!! I don’t get that channel on our dish package! Boo.